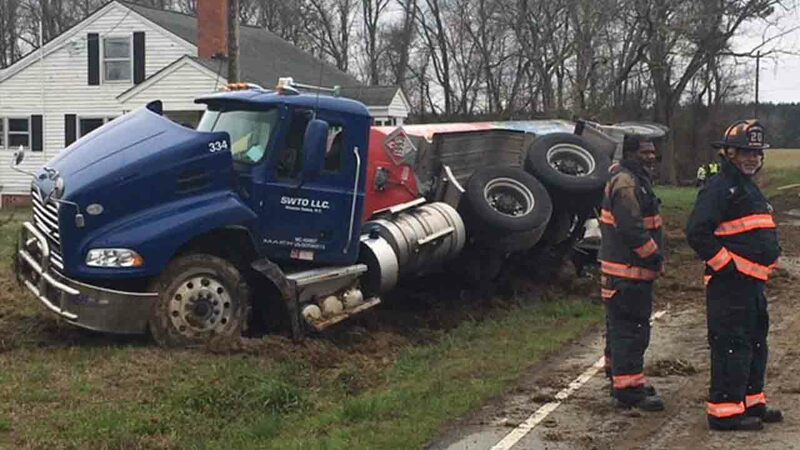 JOHNSTON COUNTY (WTVD) -- A man is in the hospital after a diesel truck he was driving overturned Wednesday morning. According to the North Carolina State Highway Patrol, the incident happened around 9 a.m. on Old Beulah Road between NC-96 and Buffalo Road. Reports show the truck wiped out, overturned, and landed several feet from a house. Troopers told ABC11 crews on scene that the man had a "medical emergency" which caused the crash. The truck was carrying 7,600 gallons of diesel in the tank, but none of it is leaking out. The driver was transported to Johnston Health; his condition is unknown at this time.